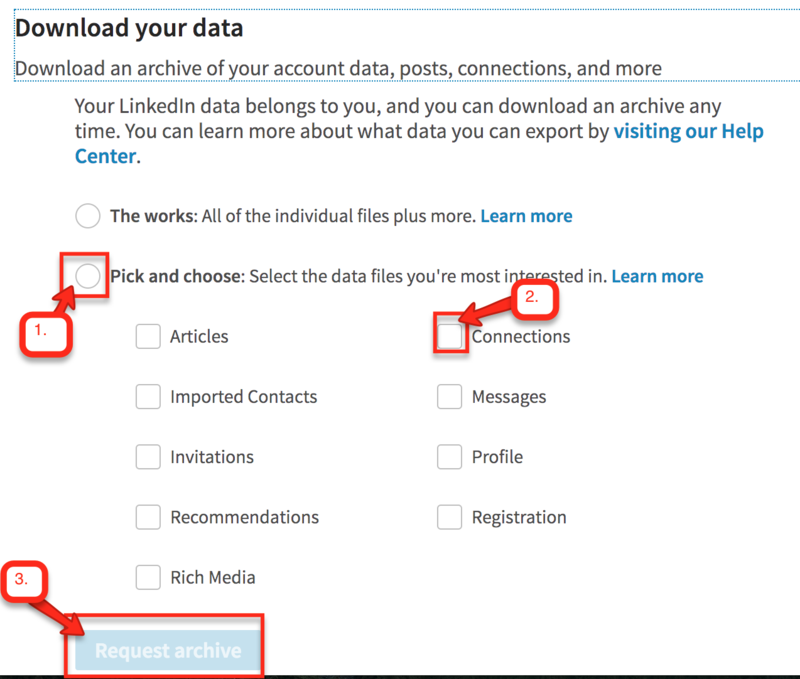 Step by step instructions for adding your LinkedIn connections to Teamable. 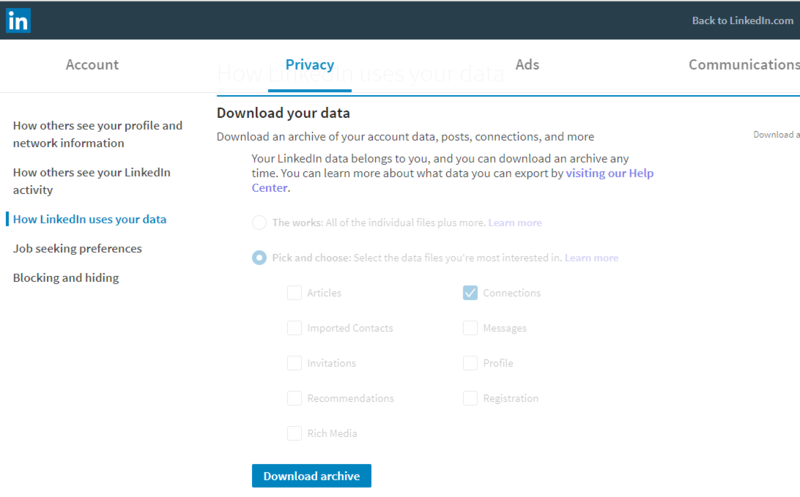 Click 'Pick and choose' to select the data files you're most interested in. You may have to enter your LinkedIn password to complete your request. Wait approximately 1-5 minutes. Then refresh the page to see the "download" button. Go to your Downloads or wherever your browser saves files to locate your connections.csv file. Back in Teamable, click in the green box to locate your connections.csv file or drag the file onto the green box. Note: it can take up to 24 hours for Teamable to fully enrich your network.